Bi-folding doors,a slightly more aesthetically pleasing substitute to sliding doors; fill a room with light by creating a beautiful and expansive view. 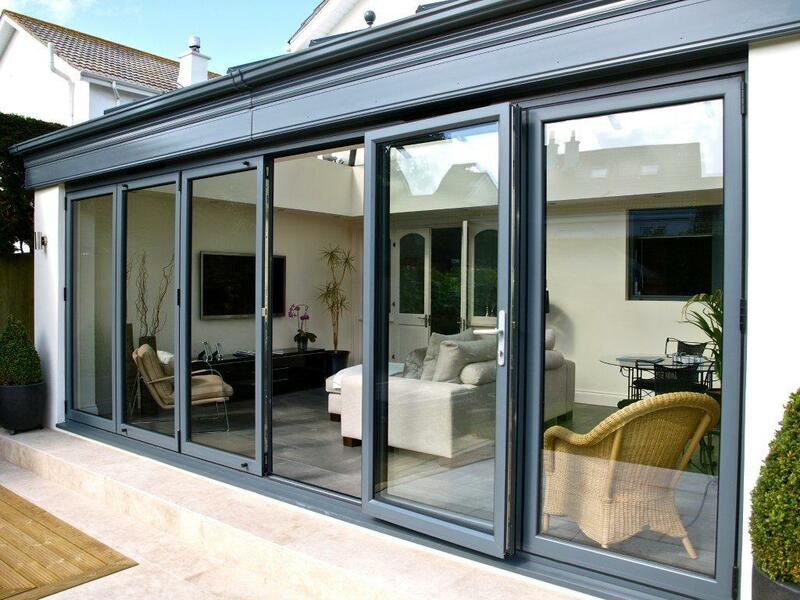 A bi-fold can create over 90% clear opening, making a gorgeous open space in your house. With years of experience using profiles such as Aluk, Schueco and Seniors we pride ourselves in providing you with specially trained fitters. Modern and elegant- transform your living space with our competitive prices and friendly support.